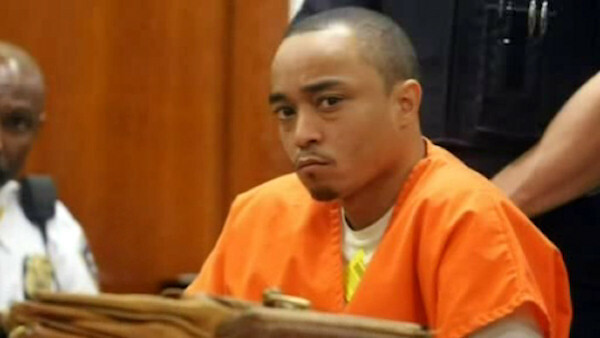 NEW YORK (WABC) -- A career criminal accused of murdering an NYPD detective was in court Tuesday, as charges against Tyrone Howard were officially unsealed during his arraignment. The 30-year-old Howard, who has a long rap sheet, is the man police say shot Detective Randolph Holder last month in East Harlem. The gun he allegedly used was pulled from the East River. Howard pleaded not guilty to the charges, which include aggravated murder, first-degree murder, second-degree murder, robbery, criminal possession of a weapon, reckless endangerment and criminal possession of a forged instrument. "This week, the family of Detective Randolph Holder will have to spend their first holiday with an empty seat at the table," Manhattan District Attorney Cy Vance said. "The death of Detective Holder shook our city, and left his loved ones without a fiance, a son and a brother. The defendant in this case, Tyrone Howard, is charged with willfully and maliciously murdering one of New York's Finest. This prosecution will not bring back this brave public servant, but we hope, by seeking justice, it will bring a measure of comfort for Detective Holder's family, his colleagues in the NYPD, and the city as a whole." According to court documents and statements made on the record in court, at approximately 8:43 p.m. on October 20, 2015, in the vicinity of the East River Promenade at the East 120th Street footbridge, Howard, knowing the victim was a New York City police officer, intentionally shot Officer Holder, leading to his death. Holder was posthumously promoted to the rank of Detective on October 28, 2015.